Secondary Armament 1 x .303in Vickers Machine Gun (Coaxial). 2 x .303in Vickers Machine Guns (Hull Turrets). 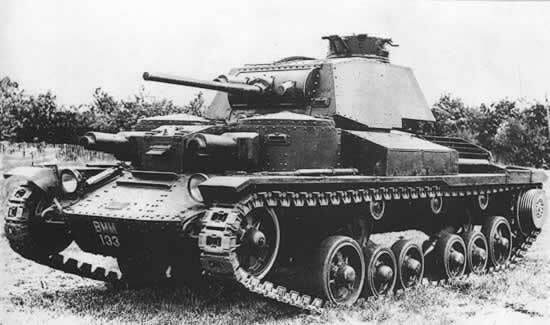 Notes The first in the line of British cruiser class tanks, these along with the slower Infantry tanks formed the basis of future armoured warfare within the British army. The tank itself was prone to breakdowns but went on to serve in France, Greece and North Africa.